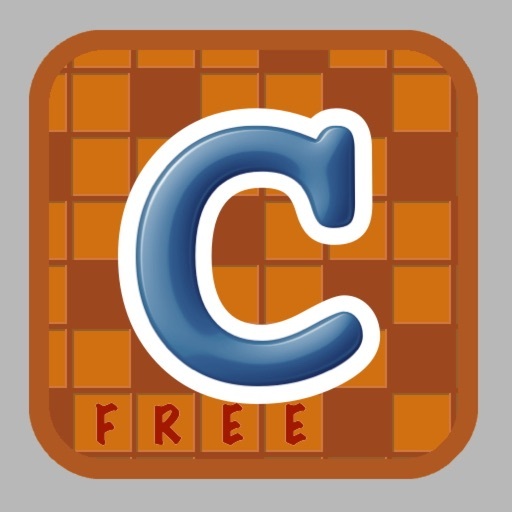 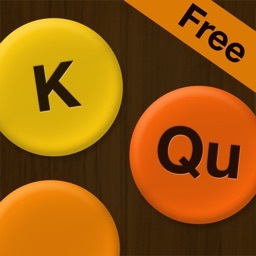 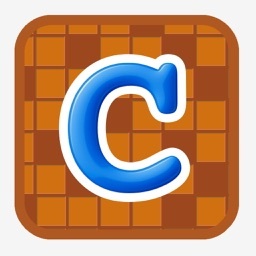 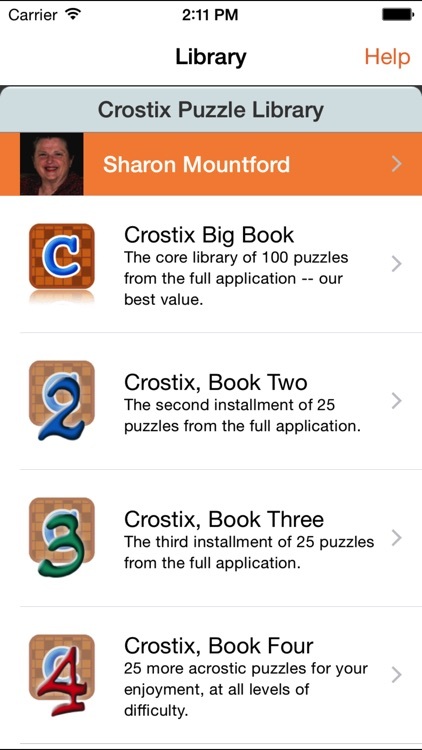 Crostix Free is a free version of our Crostix application, containing sample puzzles from our library. 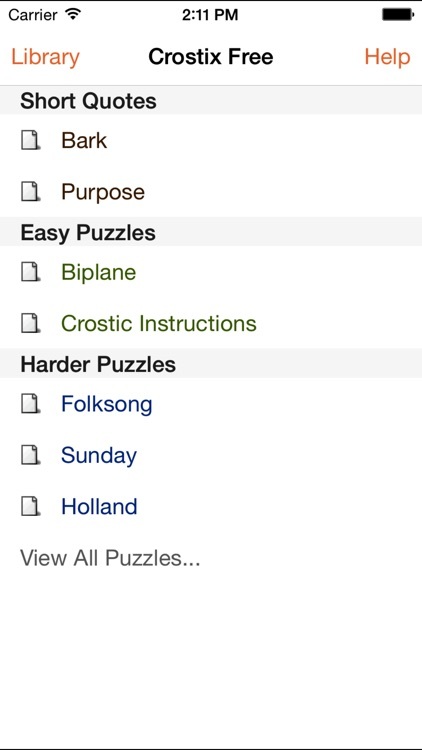 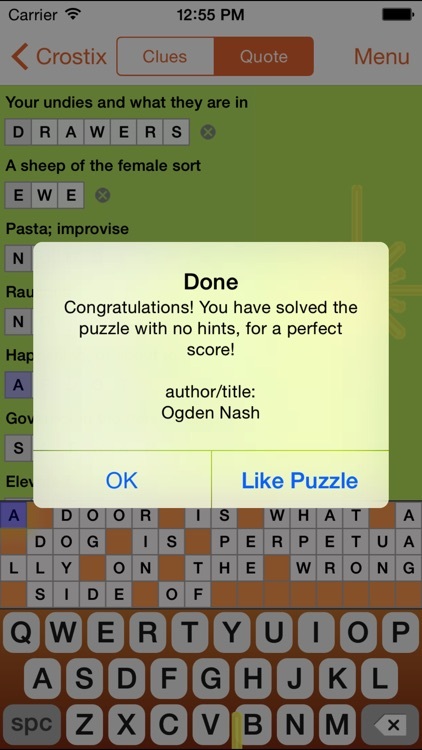 Try them out, and if you like them, get the full version, with 150 puzzles, from easy to fiendishly hard, or just buy more in Crostix Free using in-app purchase. 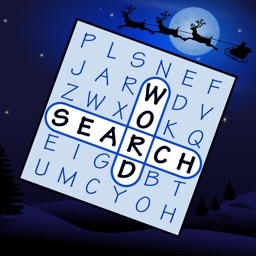 If you're new to the world of acrostics, the application also includes a short description to get you started. 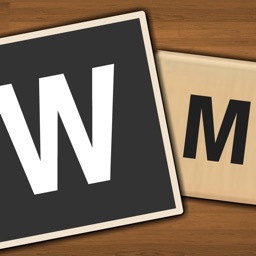 More tutorials about acrostics are available on our Web site.